While sifting through my copy of Mark Sisson’s, Primal Blueprint Quick & Easy Meals the other day, I stumbled across the pork fried cauliflower rice recipe. 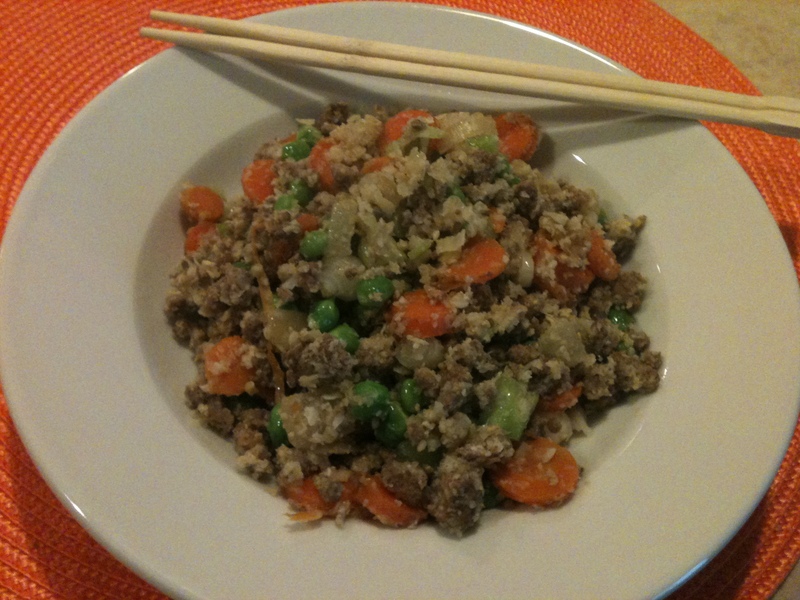 It inspired this delicious gingery beef fried rice. I was fortunate to have some fresh, plump English peas that came in my weekly CSA box, which made a wonderful addition to the dish. The results? Well, let’s just say Jesse and I both made the clean plate club that evening, although we’re both pretty good at that anyway. Heat a wok or skillet over high heat and add ghee. Add onion and sauté until it starts to brown, about two minutes. Add the meat and half the sea salt. 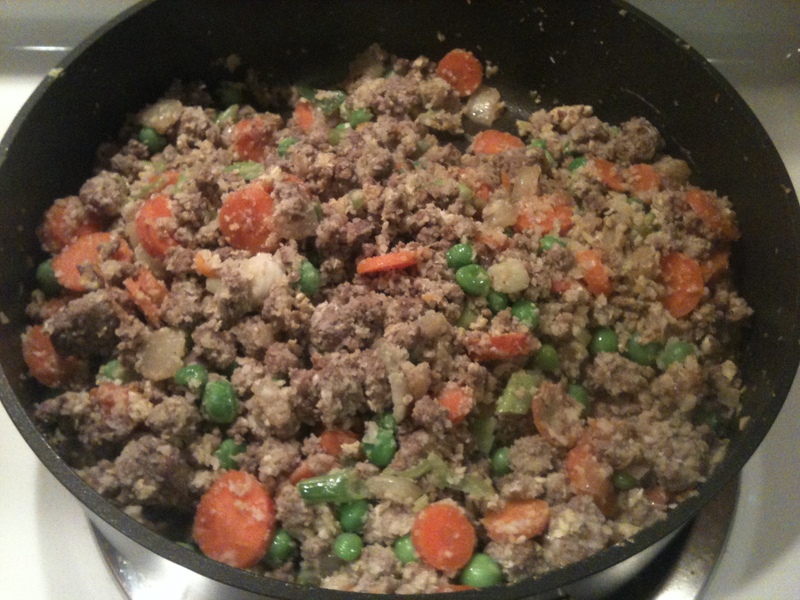 Sauté a few minutes (or longer if raw meat needs more time) and then add the garlic, ginger, carrots and cauliflower. Sauté a few minutes more. Add the eggs, remaining sea salt and vinegar (add coconut aminos here, if using and again, adjust sea salt to taste). Stir constantly as the egg cooks, then add peas and chopped scallions. Cook a couple minutes more.